Bottom Line: A complex and enticing cabernet franc with great varietal typicity and sense of place. Cabernet Franc is very closely related to cabernet sauvignon; it is widely presumed that cabernet franc is just a well established mutation. It is ideally suited to cooler climates, as it buds and ripens earlier than cabernet sauvignon. Additionally, it is less susceptible to poor weather during harvest. In the Medoc and Graves region of Bordeaux, where it typically constitutes about 15% of the final blend, it is seen as a measure of insurance against poor cabernet sauvignon or merlot weather. Cabernet franc used to be planted almost as widely as cabernet sauvignon in Bordeaux well into the 60s, but cabernet sauvignon had swung into such favor that 30 years later it had twice the acreage of cabernet franc. Cabernet franc tends to be lighter in color and tannins than cabernet sauvignon, with an earlier-maturing character. On Bordeaux's Right Bank, cabernet franc has a stronger foothold, and is best known as the dominant grape in the blend for the famed château, Cheval Blanc. It is the most widely planted red varietal in the Loire, where it yields lighter wines, like Chinon, with distinct herbal overtones. US cabernet francs are still largely in the experimental stage; there is a huge spectrum of interpretations, from heavy Napa wines to lighter styles from the East Coast. Cabernet Franc is noted for its deep ruby red color and peppery, spicy character. 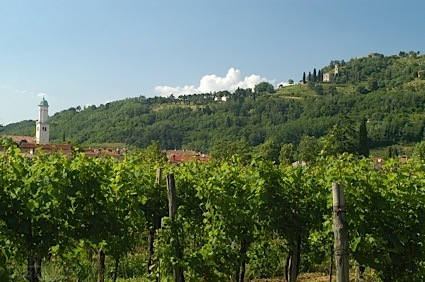 It has moderate tannins and good acidity. Generally a Cabernet Franc should be consumed with some age - at least five years - while the finest versions drink well for more than twenty years. Pair Cabernet Franc with hearty foods such as wild game, game birds and roasts. 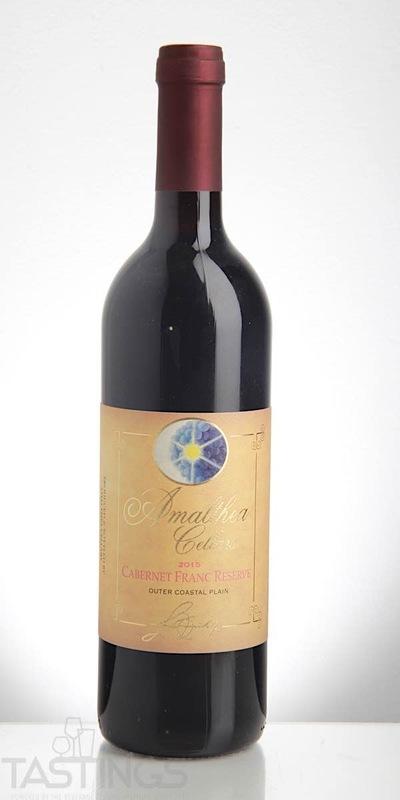 Amalthea 2015 Reserve, Cabernet Franc, Outer Coastal Plain rating was calculated by tastings.com to be 94 points out of 100 on 6/14/2018. Please note that MSRP may have changed since the date of our review.